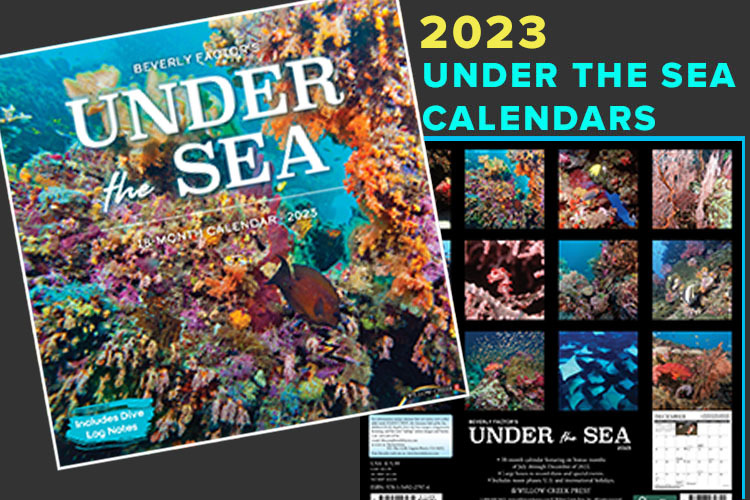 2019 UNDER THE SEA calendar, Beverly Factor presents her most stunning images, offering a unique view of the seldom seen creatures under the sea. The 18-month calendar features 24 full color, beautiful underwater images - each captioned with fascinating and informative facts including dive log notes listing the dive sites and the dive boats. Shipping for each calendar in U.S.- $6.00 for 1, $5.00 for each additional, California residents add sales tax.